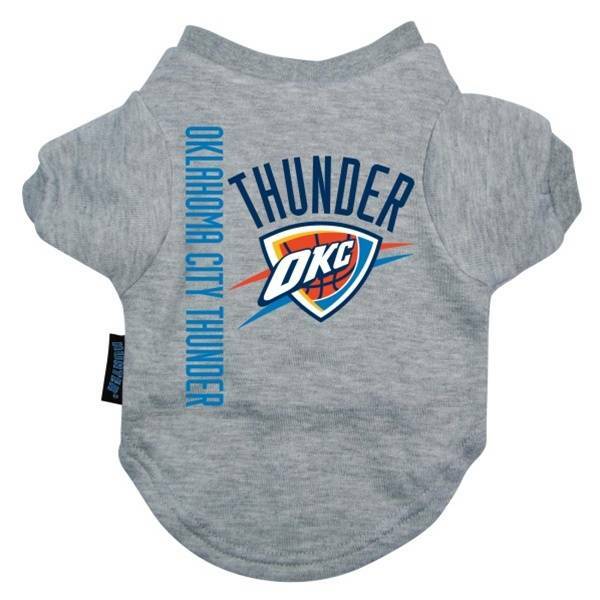 Support your favorite team with your favorite pal with this officially licensed NBA t-shirt! Support your favorite team with your favorite pal with this officially licensed NBA t-shirt! Designed with team graphics, this shirt is made of a soft poly/cotton blend and features a stylish v-neck collar and a high-cut belly for added comfort.